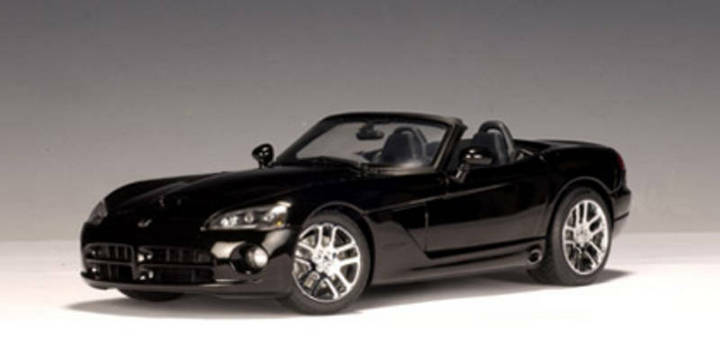 SALE Dodge Viper SRT 10 Roadster Black 1/18th Scale by AUTOart, $169.99 at Modena Motors Inc. Brand New in Box. Stunning detailing that AUTOart is famous for. Fantastic paint, interior detailing and engine bay motor detailing. Long Discontinued and WHILE QUANTITIES LAST!! !